When it comes to today’s keyboard, the latest craze is those that work virtually; thereby eliminating the need for a physical keyboard. All you need is to carry a tiny device, which fits easily inside your pocket that laser-project a keyboard on any flat surface. Some models even come with the simulated key click sounds for that real-keyboard experience. Here are the amazing laser virtual keyboard being offered today and see the reason why they can easily replace the standard keyboards today. Known for its compact and sleek form, the Virtual laser keyboard (VKB) utilizes the power of laser and infrared technology to project a full-size keyboard onto any flat surface. Using a detection technology based on optical recognition, it enables users to tap the images of the keys, compete with realistic tapping sounds, which will be fed into the Bluetooth-enabled devices such as PDAs, laptops, PCs and smart phones. This revolutionary accessory is lauded as the only keyboard that can work in total darkness. Perfectly suitable for your smart phone, PDA, Mac, tablet and PC or any device that runs on Bluetooth HID. Just the size of an ordinary lighter, it uses a laser beam to generate a full-size fully operating laser keyboard that instantly connect to a number of mobile devices. It works exactly like an ordinary keyboard and comes with a rechargeable battery for 150 minutes of continuous typing. The Magic Cube Virtual Keyboard is a very cool and useful keyboard that can be used for all devices that have Bluetooth capability including your Mac, PC, laptops, android devices and iOS devices. The keyboard is fairly easy to use except for the period, which is located toward the top right side. For first-time users, the keyboard takes some getting used to. You will notice that it will not pick up strokes until you actually touch the projected key. You will also think that it will pick up the wrong keys all the time just because your fingers are hovering passed it. With small and easy-to-integrate components, this compact laser keyboard can be integrated into a number of devices without significantly increasing their power consumption. It has large keys and offers the familiar QWERTY layout that even allows for input speed of 50wpm for those who have advanced typing skills, which is very similar to the physical standard keyboard. One of its major benefits is the ease of usage since it provides a comfortable way of entering data due to its ergonomic design. Made possible through the incorporation of the 3D Electronic Perception Technology (EPT), which tracks your finger movement and translates them into keystrokes in the device; the portable keyboard provides a number of benefits including fast and accurate data input for iPhone and iPad users. It also sets a new benchmark in mobile input performance as it allows for input speed greater than the 50wpm with similar error rates to that of the standard keyboard. Other features include ease of use due to its ergonomic design, the mouse mode that allows your fingers to be use as a mouse; and also includes a 700mAh built-in rechargeable battery that runs for 150 minutes of typing. The Celluon Laserkey C800BT has ‘wow factor’ with its laser-projected keyboard that works well with any flat surface and is travel-friendly as well. It does not give much trouble setting up and also possesses a compact form factor in its 3.6 x 1.4-inch 3.8 oz size as it can easily fit into your bag, which also comes with a carrying case. It is also easy to use with its minimal controls and even stays on even if it is accidentally knocked over. A small LED on top blinks orange if you are low on battery, while another LED blinks blue for Bluetooth. Sleek and stylish with no moving parts, the Celluon Magic Cube allows you to type on any white opaque surface so you can send an email or text message on your tablet or smart phone. Perfect for laptop users as well, you can quickly and accurately input text and data where 50wpm can be achieved and allows for surfing the net on-the-go as well. The Magic Cube is a portable laser-projected full-size keyboard and mouse that runs on the EPT infrared technology. It is compatible for use with any mobile devices from iPads, iPods, tablets, desktop PCs, and smart phones that support the Bluetooth technology. The virtual keyboard uses a revolutionary laser technology that projects a virtual keyboard to any surface. 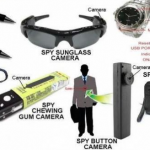 It has an advanced optics track that can be connected to any mobile devices via Bluetooth wireless technology from smart phones, laptops, or tablet. Its keychain design also makes it super portable. With the Brookstone You touch, you can transform any flat surface into your very own workstation. I met for the first time with with laser virtual keyboard here on shamshinghub. Nice share! Same to Bharath, I wish I could have one of them. 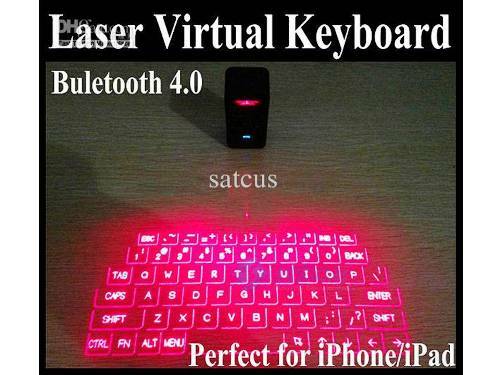 Wow nice list of Laser Virtual Keyboards wish i had one.